Aspen Film Shortsfest (through April 7, Wheeler Opera House). Recognized as one of the premier short film festivals in the world, this Oscar®-qualifying festival embraces diverse sensibilities and subjects that capture the zeitgeist of today’s world. Tickets can be purchased on the Wheeler Opera House Box Office (320 E. Hyman). ACES Winter Birding (8:00 a.m., ACES Hallam Lake). Open yourself to a new passion and join ACES in their winter birding program that exercises your birding skills, educates you on some non-breeding plumages, and observes foraging behaviors of both migratory and resident species. 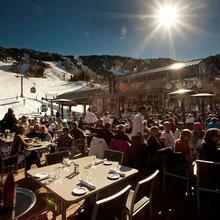 The Après (through April 7, Buttermilk Mountain). 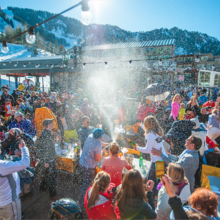 In collaboration with renowned live music venue, Belly Up Aspen, The Après is a brand new three-day music and mountain festival that will be held at the base of Buttermilk at the same venue as X Games Aspen. 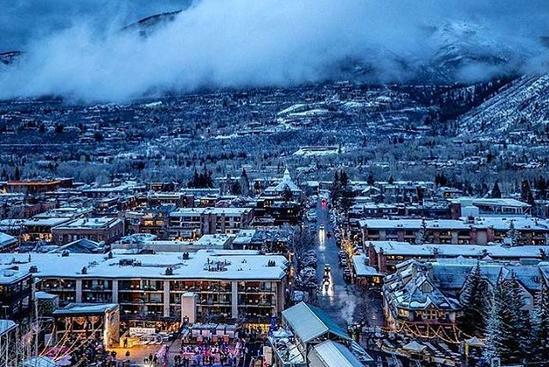 During Buttermilk's closing weekend, the festival will kick off with Umphrey’s McGee on Friday, April 5 followed by back-to-back nights of jamming by The String Cheese Incident. Ticket passes are still available and can be purchased here. History on Tap: Skiing Hayden, 1937 (2:00 p.m., Buckhorn Cabin). Join Aspen Historical Society for an Aspen Brewing Company beer and the story of the first “ski resort” in the Roaring Fork Valley. Historian and actor Mike Monroney will perform a Chautauqua-style character presentation of Billy Fiske, telling the tale of his partnership with Ted Ryan and Tom Flynn to bring commercial skiing to the area. Buttermilk Mountain Closing Day (all day, Buttermilk Mountain). Enjoy the last day of Buttermilk’s season. 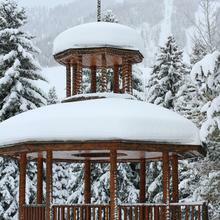 Celebrations will be held on the mountain as we come to the end of a great season. Bacon Appreciation Day (all day, Buttermilk Mountain). In celebration of Buttermilk’s closing day, the mountain hosts an annual Bacon Appreciation Day featuring a schedule of all things bacon including bacon waffles at the summit in the morning, bacon samplers around the mountain throughout the day, kid’s games in the base area, a bacon and beer happy hour at Bumps restaurant as well as a bartenders brawl featuring Aspen Skiing Company bartenders duking it out for the honors of the best bacon inspired cocktail. A cost is associated with the lunches, happy hour and the bartender’s brawl, but all other bacon items are free while supplies last. In conjunction with Bacon Appreciation Day, Buttermilk will also host an uphilling event called ‘Fueled by Bacon Sizzle Up’ that will begin at 8 a.m. at the base (registration day-of starting at 7:30 a.m. at the base of Buttermilk) and end at the Cliffhouse. Prizes will be awarded for the Best Costume, the Center Cut (person who is in the middle of the pack) and for the fastest family, with additional prizes raffled off as well.